Hampshire Country Club is located in picturesque Mamaroneck, New York, in the heart of Westchester County. The Club is convenient from anywhere in the Tri-State area, and only 30 minutes by car or train from Manhattan. Take Exit 18A Fenimore Road. Merge right onto Fenimore Road and continue (heading south) to Boston Post Road. Turn right onto Boston Post Road. At the 2nd light, turn left onto Orienta Avenue. Continue on Orienta Avenue and turn right onto Cove Road. Continue on Cove Road and follow to the Clubhouse entrance. Take Exit 21 Weaver Street. Turn right onto Hutchinson Road. At light, turn left onto Weaver Street (Rt.125). Continue on Weaver Street heading south to Boston Post Road. Turn left onto Boston Post Road. At the 3rd light, turn right onto Orienta Avenue. Take the Metro-North Railroad New Haven Line to Larchmont Station. The Club is a short taxi ride from the station. 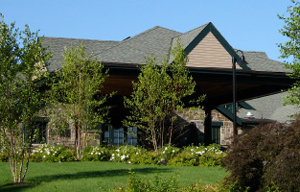 Hampshire Country Club is located at 1025 Cove Road, Mamaroneck, New York. Please click on the map above for personalized driving directions via Google Maps.